Zenkyo held the 57th Central Committee in Tokyo from June 24th to 25th. 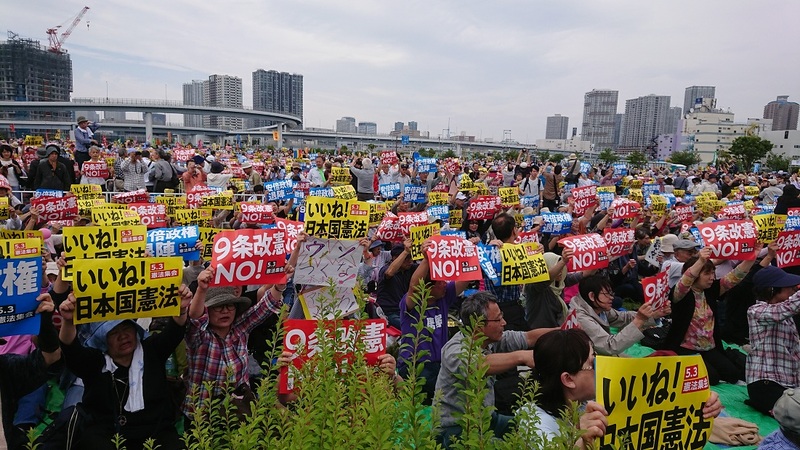 We discussed the struggles to stop amendment Article 9 of the Constitution and Abe’s “Educational Rebuild”, the efforts to promote democratic education guaranteeing the growth and development of all children, and elimination of teacher’s long working hours. Because it was a central committee held under serious political and social situations, it enthusiastically discussed on the amendment of the Constitution, Abe’s “Educational Rebuild”. In addition, improvement of educational conditions such as increasing the number of teachers, advancing small-sized classes, and free education, elimination of long working hours which is a demand from our members, and efforts to strengthen and organize stronger Zenkyo were also discussed. At the Central Committee, eight resolutions such as plan of upcoming struggle were adopted. Then it approved the central committee appeal to “Demand for great change of politics! Let's expand the circle of colleagues who pursue education based on the Constitution and the Convention on the Rights of the Child” unanimously, and closed.